Here at The School of Natural Health Sciences we’re really into all-natural products. One of our most popular courses is the 10-lesson distance learning diploma course Holistic Skin Care Products. We don’t really see anything wrong with falling in love with a certain brand, or using toiletries and cosmetics that aren’t perfect, we do however, know that the skin loves to be pampered. 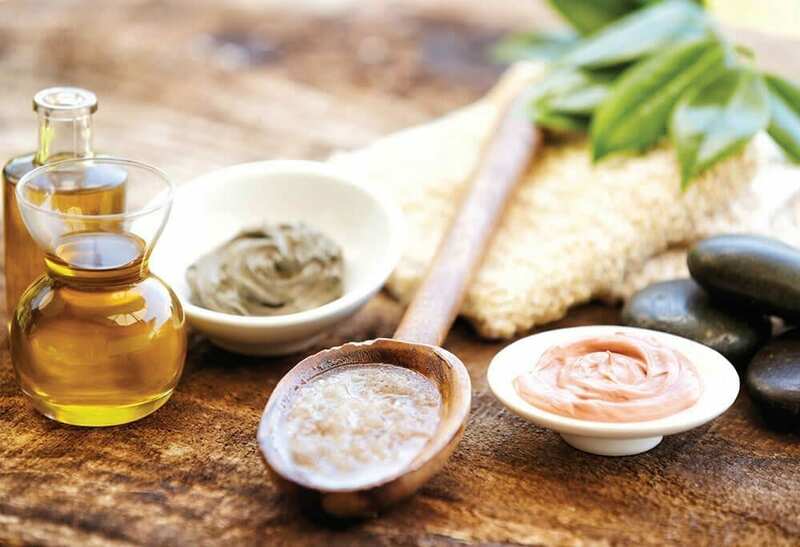 And the best way to pamper your skin, is to give it good-for-you ingredients. Our skin after all, is the bodies largest organ, featuring a semi-permeable membrane which absorbs whatever it comes into contact with. Just like feeding your body a healthy diet, your skin also needs the right stuff to be at it’s best. DID YOU KNOW? According to the Environmental Working Group (EWG), on average only about 11% of the ingredients in popular products and brands have been tested for safety by the cosmetic industry. Dispensing bottles are a great way to avoid contamination. Using open-mouth jars will invite too much oxygen, bacteria from repeated finger-scooping and is just generally a messier way of storing and using your products. In general you want to avoid touching products with your fingers, especially ones that are for facial use such as cream, eye gel or lip balm. If you must use a jar, try using a cotton swab or small wooden spatula for application. If you’re thinking of going the extra mile, check out these completely hands-free dispensers (on Amazon). In the same way that we’re trying to avoid the contamination of bacteria, we also want to minimise it’s growth if it does make it’s way into our products. Keeping your products in a dark cabinet where it won’t be affected by heat, UV rays, light or moisture will prolong it’s shelf life and keep all the ingredients functioning as you intended them to work. My bathroom is always way too hot and steamy, so I like to keep my delicate skin care products in the pantry where I know they’ll be safe from fluctuating temperatures and humidity levels. When creating a delicious skin care product which contains a food base, such as an avocado butter mask or sugar-scrub, stick to making one batch at a time. Usually, food-based products can last a week when kept in the fridge, other products without food will last twice as long, if not more. Personally, I can’t survive the winter without a decent lip scrub, and love to incorporate the textures and flavours of foods and spices into homemade products. Try this fantastic follow-along recipe by Nicole Guerriero for a perfectly flawless result and smooth introduction into DIY home cosmetics. Not something that we always do when applying a product, but a great indicator of whether it’s still good to be used. Odours to watch out for include sour, fishy, methane-like or just generally off-putting. When a recipe requires water, always used distilled. Even filtered water carries bacteria, traces of chlorine, chemicals and other contaminants. Never use unfiltered tap water. When mixing, remember to always use apparatus that’s been recently washed in hot water. When cleaning containers after or before use, a dishwasher is best with a cycle of bicarb and vinegar. If you don’t have a dishwasher avoid towel-drying, and allow to air dry on a clean surface and paper towels instead. Vitamin E: Due to it’s antioxidant content, vitamin E is the perfect addition to any products containing fragile oils, (avocado, primrose, sweet almond), or to be incorporated into any lotion recipe, including balms, creams, and even scrubs. Buy / view on Amazon.
. Buy / View on Amazon. Coconut Oil: A well documented anti-microbial oil which has become a household favourite and an industry phenomenon. Buy / View on Amazon. Grapefruit Seed Extract: Also anti-microbial, advisory ratio is 0.5-1% overall. Buy / View on Amazon. 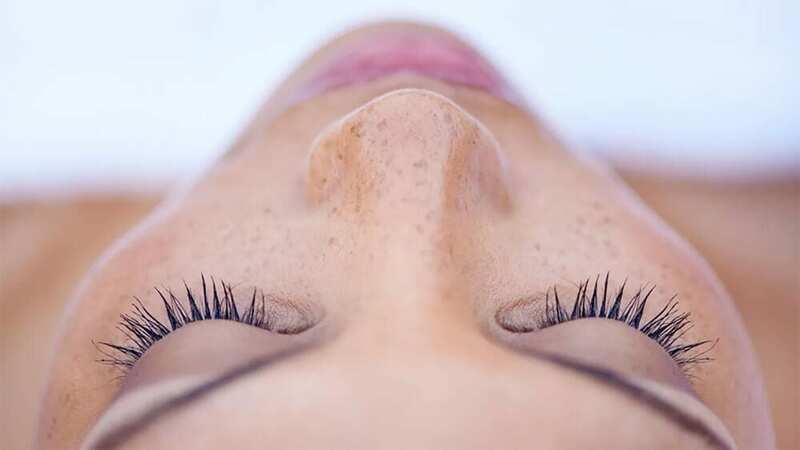 Why not browse our selection of over 60 holistic therapy courses, among which is our distance learning diploma course Holistic Skincare Products. Learn to make your own products with all the best natural ingredients, and upon completion you’ll be able to design, create, tailor, package and distribute your homemade goods.This course covers it all, from equipment and food additives to labelling and legislation. Not only will you have a fresh skill set and brand new career path, but you’ll take away tricks of the trade and top quality insider knowledge thanks to the course writer, Joy Picot, who has over 20 years experience in the field.